I love Christmas carols and songs. Much to my husband’s dismay, our house is often filled with the happy sound of holiday tunes (and my accompanying singing voice!) from November first. The music of Christmas truly lifts your spirits, making you happy and excited for the holiday season…and this doesn’t just apply to adults. 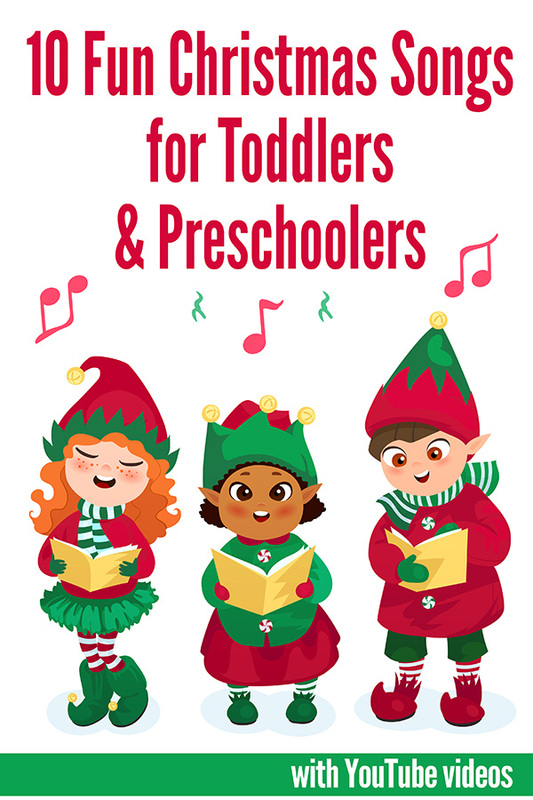 Christmas carols and songs are fabulous for lifting the spirits of kids too – which leads us to this fun collection of Christmas songs for toddlers and preschoolers. The songs included here are a mix of traditional and newer Christmas songs and carols. Each is paired with a YouTube video. I spent hours scouring YT for the best video to match each song. I was looking for a video that was fun for a young child to watch with clear lyrics and a good tempo – not too fast or too slow. 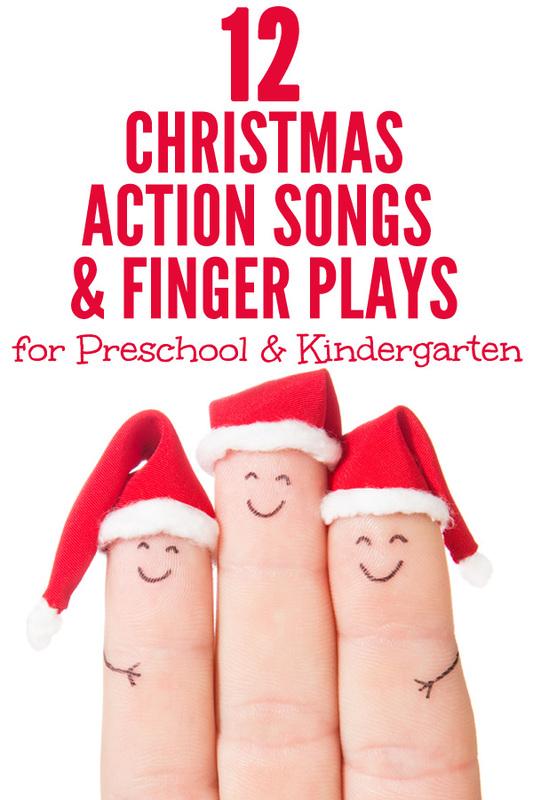 Alternatively, if you are looking for action songs and finger plays to sing with your preschooler or kindergartener, click through to our preschool Christmas action songs collection. This is a classic most of us grew learning and singing. It never gets old…except maybe when the kids are singing it for the 427th time in the backseat of the car! It is also a simple, repetitive song to learn. This is an fun song with an amazing story behind it. Narrate the tale to the kids and then teach them how to sing this simple, catchy song. This traditional carol was first published in England the 1700s as a cumulative song about 12 increasingly grand gifts, one given on each of the twelve days of Christmas. A fun song reminding young ones to be good throughout the year to receive a gift when Santa comes to town. This classic Christmas song is a simple one for even toddlers to learn. A fun song about a snowman who comes to life to play with the kids who built him. Simple, catchy song that will make you want to dance! A fun twist on the traditional song B-I-N-G-O. A repetitive song that explores different parts of their bodies. A beautiful, traditional carol that celebrates the story of Jesus’ birth. Be sure to also check out our complete collection of themed children’s rhymes, songs and finger plays. Great for preschool and kindergarten.